An observation was made in January 2009 that the materials used to educate new inductees of Upsilon Xi were sorely in need of restructuring. The materials were incomplete in some places, and inaccurate in others. The history section, in particular, was woefully inadequate. UXAA President Joe Giove and UXAA Vice-President Wayne Slocumb led the effort to compile an accurate and complete "Book of History" for use in training new club members. 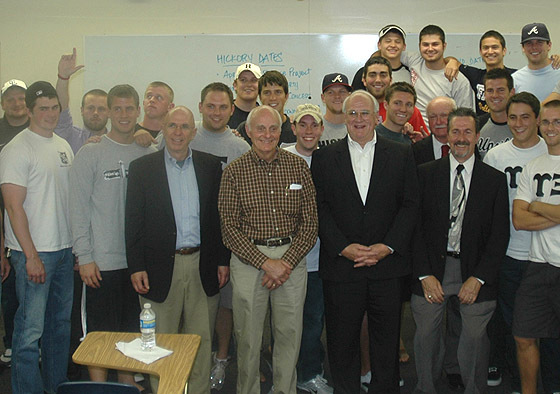 In order to complete this effort, President Giove formed the "Committee to Update Induction Materials" on November 7, 2009. The committee was co-chaired by the first and fifth Presidents of Upsilon (Dr. Duran Palmertree and Mr. Bill Winters). As countless drafts of the book were compiled, original sources were contacted and interviewed. Information from six of the original nine members were used to create the history as well as several other early members. The first version of the book was officially released on January 21, 2010 and will be periodically updated. 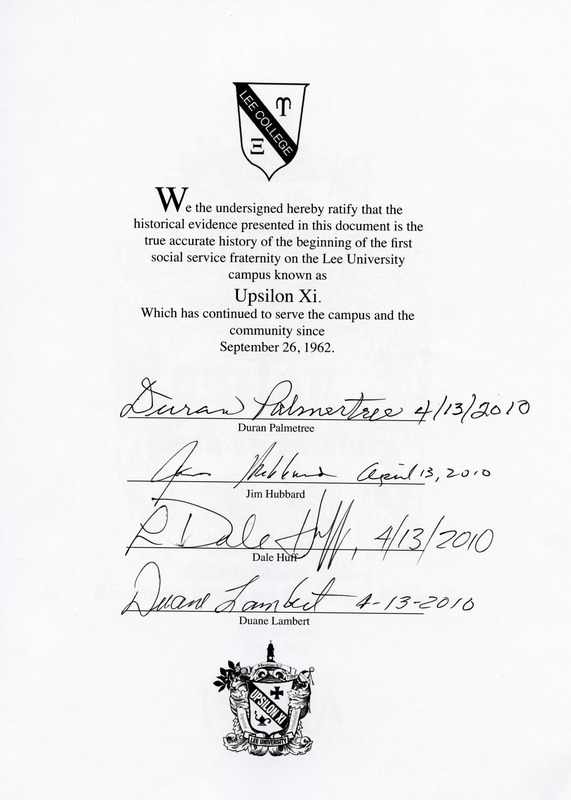 On April 13, 2010, the first four "Founding Fathers" of Upsilon (Dr. Duran Palmertree, Rev. 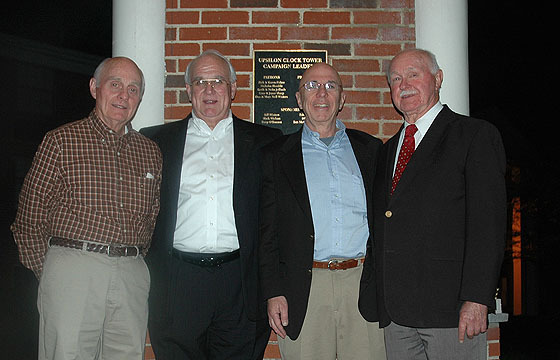 Dale Huff, Dr. Jim Hubbard, and Mr. Duane Lambert) planned a reunion trip to Cleveland to attend a Upsilon meeting together for the first time in over 40 years. As each had given input to the book, they signed the final version to signify its authenticity.